Every year I hand make my gifts for my downline members. I really try to keep it Stampin Up products only since we are Stampin Up Demonstrators after all. Although sometimes, I come across something that I just know will be absolutely perfect for my gift. Let me back up just a bit… Stampin Up hosts an annual convention every year and all Demonstrators are able to attend if they wish. At these conventions, they used to sell logo merchandise, things like t-shirts, pens, note pads, ornaments, etc. Every year they seem to have a theme with the merchandise and a few years ago it was Christmas. 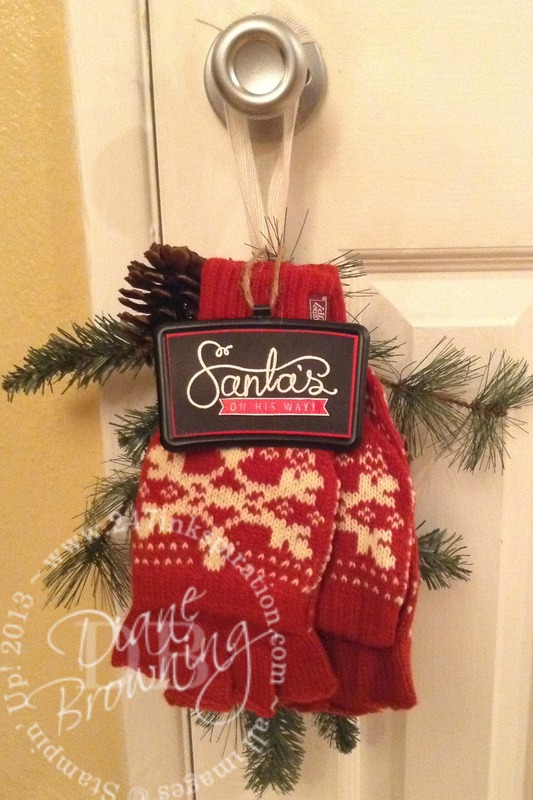 They had the most adorable red knit gloves with the Stampin up label on them. The gloves can either be worn like mittens or you can pin back the mitten part and have your fingers free. Of course I had to buy them! They were just too cute to pass up. My friends thought I was crazy for buying gloves. I live in Southern California – how often would I be using these? Well, occasionally it does get chilly here. We get maybe three whole days where it’s in the 40’s. That is downright freezing for us since it’s usually 70+ here all the time. Anyway…I really had no intention of wearing these. I thought they would be perfect for a Christmas decor project! I never did get around to making that decor project that I had intended to make that Christmas. And by the next Christmas, I couldn’t remember where I had stashed the gloves for safekeeping. Fast forward a couple years… and lo and behold, guess what was on the Stampin Up logo merchandise clearance rack?!? Yep, these very same gloves at rock bottom prices! I decided that this was the year I would actually make that decor piece and since the gloves were so cheap, I would make them for my downline as well for their Christmas gift. The downline members that attended the December meeting got these as a gift last night. I don’t make extra. You have to attend to get the gift. The gloves are tied on with Cherry Cobbler Baker’s Twine, which you can’t see because it’s tucked down behind the mittens. And the cute chalkboard tag on the front is made using the Cup of Cheer stamp set on Basic Black card stock. I rubbed my embossing buddy across the card stock after stamping and embossing to give it more of the chalkboard look. I added White Jute ribbon to the top so the swag can be hung. You too can make this project. Use any color knit gloves and tie them onto some greenery. The greenery can be purchased at any local craft store, just find something you like. The chalkboard tags were purchased at a local Target in the dollar section and I added the stamped label to the tag. Super quick and easy! Are you thinking you’re missing out on all the good stuff right now? Well, it’s not too late to join in! Not sure if you want to “be a demonstrator”. We invite guests to come try out a Downline Meeting and meet the group. We meet locally here in Orange County once a month. If you’re interested, drop me an email and I’ll send you the details on the next meeting. 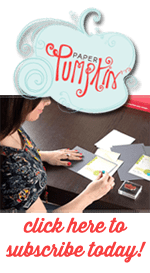 Or you can check out my Calendar on my Stampin Up website (dianebrowning.stampinup.net) to see when the next meeting will occur.